The 17th Shangri-La Dialogue (hereafter the SLD) took place in Singapore from the 31st of May to the 3rd of June, 2018. This SLD attracted the participation of nearly 600 representatives including 40 Defence Ministers – a record number ever. That expresses the special attraction of the SLD and the great regard paid by countries to peace, stability and prosperity of the Indo-Pacific Region. With 5 plenary sessions and 6 simultaneous special sessions, the 17th SLD continued to be a forum for countries to express their concern over the common security challenges of the region and the world while opening up an opportunity for countries to voice their views and policy to deal with those challenges. Delivering the keynote address at the 17th SLD, Indian Prime Minister Modi presented a 5-S model for the Indo-Pacific Region which meant respect, dialogue, cooperation, peace and prosperity in Hindi. He analyzed elements that ensured the success of the Indo-Pacific Region, namely (1). “It stands for a free, open, inclusive region, which embraces us all in a common pursuit of progress and prosperity. It includes all nations in this geography as also others beyond who have a stake in it”; (2). 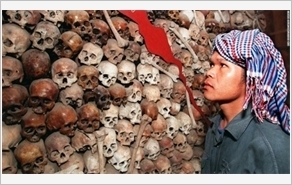 “Southeast Asia is at its centre. And, ASEAN has been and will be central to its future”; (3). Countries must be equal in sovereignty and territorial integrity; resolve issues by means of dialogue, not by force; and maintain a common rules-based order and uphold their international commitments; (4). “We should all have equal access as a right under international law to the use of common spaces on the sea and in the air that would require freedom of navigation, unimpeded commerce and peaceful settlement of disputes in accordance with international law”; (5). Building rule-based, open, balanced and stable trade environment which must have a balance among trade, investment and services; (6). Connectivity must empower nations and foster trade; (7). Building a region for cooperation, not for conflicts between major countries. Meanwhile, US Defence Secretary James Mattis clarified 5 focal points in the US “free and open Indo-Pacific Strategy”. First, “Our vision is to preserve that vitality by helping our partners build up naval and law enforcement capabilities and capacities to improve monitoring and protection of maritime orders and interests”. Second, “we will ensure that our military is able to more easily integrate with others. This applies to both hardware and software by promoting financing and sales of cutting-edge U.S. defense equipment to security partners”. Third, concerning the rule of law, civil society, and transparent governance, “our defense engagements reinforce this theme, whether our professional military education or combined military exercises, or the day to day interactions between our soldiers, sailors, airmen, Marines, and Coast Guardsmen and the armed forces from across the region”. Fourth, regarding the private sector-led economic development, U.S. agencies will work more closely with regional economic partners to provide end-to-end solutions that not only build tangible products, but also transfer experience and American know-how so growth is high value and high quality. The U.S. stands ready to cooperate with all nations to achieve this vision”. Fifth, the U.S. will continue to partner with the existing regional institutions, such as the ASEAN Regional Forum (ARF), the ASEAN Defense Ministers Meeting-Plus (ADMM+), and the East Asia Summit (EAS), as well as the Asia-Pacific Economic Cooperation Forum, and trilateral and multilateral mechanisms of like-minded partners. As the relationship between the two Korean countries warmed up, and the 17th SLD took place right before the US-North Korean Summit, most of the speakers mentioned the issues of Korean peninsula. The US and its allies highly appreciated recent moves of North Korea while heightening their role in the recent positive developments of North Korea. Speaking on the sidelines of the Dialogue, China’s delegation stressed this country’s role in the peace process on the Korean peninsula. Representatives paid special attention to the issues of terrorism and anti-terrorism and agreed that terrorism was the top direct threat in the region and the world. Countries also expressed their concern over the spread of the Self-Proclaimed Islamic State (IS) and the collusion between IS and regional extremist organizations and criminals. On dealing with terrorism, representatives believed that military measures could not handle the root of these issues, and that it was necessary to adopt a comprehensive approach in all cultural, economic and social fields. On dealing with Islamic militants who repatriated from the Middle East, a speaker proposed adopting Qatar’s successful approach to provide them with education and employment and rehabilitate them instead of putting them in the blacklist or hunting them down. In spite of the fact there was no session intended for the East Sea, the issue of the East Sea was mentioned in most of the plenary sessions and simultaneous special sessions of the Dialogue. Speeches in the Dialogue all heightened the observance of international law and regional commitments in the East Sea while opposing militarization and supporting efforts by ASEAN and China to counsel negotiation for Code of Conduct in the East Sea (COC). Defence Ministers of UK, France and several countries announced that they would continue to deploy vessels to this region to conduct the freedom of navigation operations (FONNOPs) to increase their presence and foster their cooperation with regional countries. According to observers, in this SLD, more than half of speeches mentioned the Southeast Asia and the ASEAN, which showed their appreciation for ASEAN’s central role including Vietnam’s towards regional peace, stability and development. Playing an increasingly important and active role in the region, which has been recognized and highly appreciated by the international community, Vietnam would resolutely defend its legitimate interests and also respect other countries’. All sides need to show their responsibility in building order at sea, so that the East Sea truly becomes a sea of peace, cooperation and friendship. 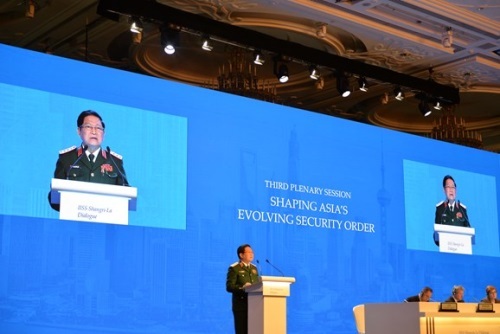 At the end of his address, Minister Ngo Xuan Lich quoted a famous saying by President Ho Chi Minh: “Security and freedom can only be guaranteed by the independence of each country from any major powers and by the voluntary cooperation of each country with all other major powers”. At the unofficial meeting between the US Defence Secretary and Heads of Delegations of ASEAN countries in the 17th SLD, Minister Ngo Xuan Lich confirmed that Vietnam welcomed the U.S. cooperation with ASEAN within the framework of ADMM+. He also welcomed initiatives and strategies by countries, including the Indo-Pacific Strategy by the U.S., provided that those initiatives and strategies would contribute to peace, stability and development on the basis of respecting international law, national independence, sovereignty, territorial integrity, and political institutions, and not interfering in countries’ internal affairs.